Next as we prepare for the 20th Annual Cowtown Society of Western Music Swing Fest & Hall of Fame in Mineral Wells Texas May 4th & 5th I will play music from Jimmy Burson & Texas In the Swing, Louise Rowe & The Texan Playboys, Brady Bowen & Swing Country & Greg Gibbs!!! Have Pen & Paper ready when listening to Swinging Country!!! Next Kenneth Goldsmith A Double Shot & News!!! Next grouping will be Brad Howard, Bobby Marquez, Billy Mata & Texas Tradition. Then my first Special Guest Landon Dodd we will discuss The 5th Annual Billy Bowles & AWA Pre Awards Jam & Dance this coming Wednesday March 14 @ Lil' Reds Longhorn Saloon 121 W Exchange Fort Worth, Texas 7:PM - 11:PM With 21 Amazing Artist to take the stage one after the other!!! And as a Spotlight Artist I'll treat you to 3 Tunes from Landon Dodd & The Dance Hall Drifters. Next up a group of Western Tunes from Jean Prescott, Ron Christopher, Rich Price who will be @ My 2nd Pre Awards Jam March 15 @ Radisson Hotel N Fossil Creek Fort Worth in there Club Cassidy's 11:AM - 3:PM Western Music Country Youth and More!!! With 22 Artist to Perform!!! Then My 2nd Special Guest Miss Devon Dawson we will about the Jam AWA Artist & more!!! 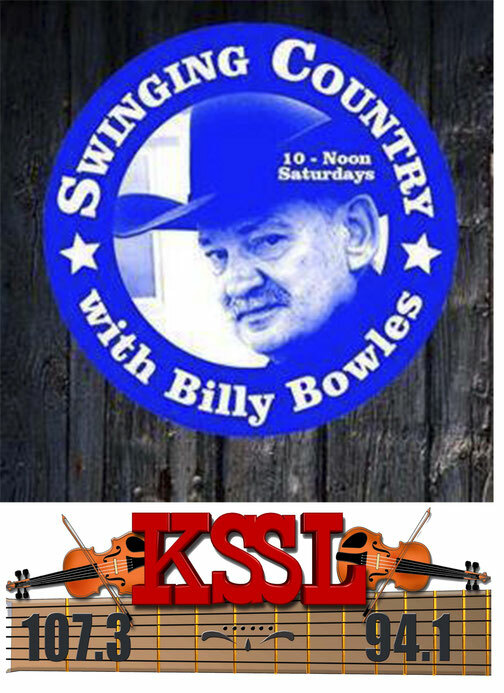 And 3 Tunes from Devon & The Outlaw :) Each with Regional ties to our KSSL Broadcast Region on Air. Then Finishing time out with Winners from Last Years AWA Award Show You will hear Paul Schlesinger, Mary Kaye, Lorraine Chavana, Jason Roberts, Jeff Woolsey.